site business in the West African country, marking the company's foray into the region. "We are very pleased to partner with TopWide Ventures. The partnership is strongly established with the full support of the Nigerian government. Hopefully, this cooperation can provide benefits not only for the two companies but also for Indonesia and Nigeria," Timah president director M. Riza Pahlevi Tabrani said in a statement on Thursday (14/12). Timah has yet to disclose the value of its investment in Nigeria. 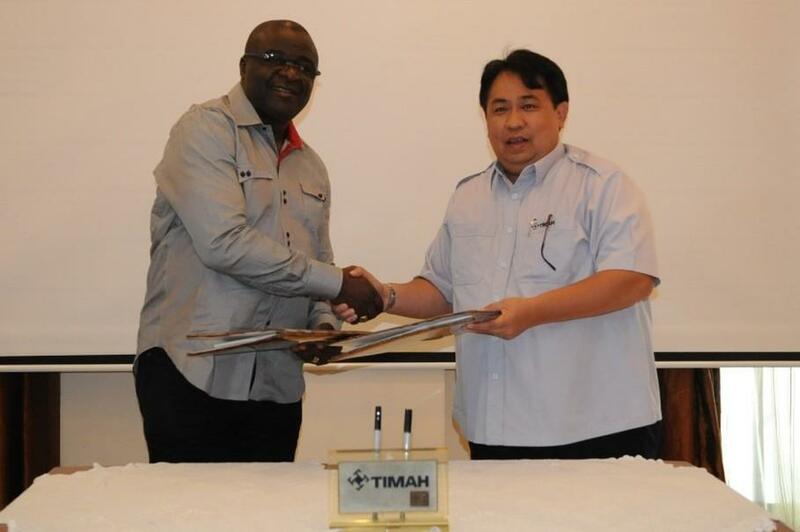 Timah and TopWide Ventures signed a joint venture agreement in the capital, Abuja, on Dec. 10. Under the terms of the agreement, the joint venture will operate and manage exploitation, exploration, mining, processing, refining, transportation, sales and marketing of tin and derivative products in Nigeria. Nigeria has abundant natural resources, including petroleum, coal, gold and zinc. Timah sees Nigeria as a country with lots of potential due to its vast tin deposits. The joint venture company will soon complete the initial process to establish a factory, with construction set to start next year. The company will also optimize its 16,000-hectare mining concession area, aiming to develop a production capacity of about 5,000 metric tons of tin ingots annually during the first phase. TopWide Venture chairman Anaene Okonkwo said cooperation between the two companies will have a positive impact on not only the Nigerian economy, but also the rest of Africa. Alhaji Saidu Malami, chairman of the Solid Minerals Development Fund, said the partnership with Timah is expected to support the country's tin industry. The SMDF is a Nigerian government initiative to provide funding for projects in the country's mining sector. The Indonesian government transformed aluminum producer Inalum into a holding company for Timah, mining firm Aneka Tambang and coal miner Bukit Asam at the end of November. Timah produced 23,854 tons of refined tin in the January-September period this year – nearly 50 percent more than in the corresponding period last year. The company also sold 21,588 tons of tin in the period, up 16.1 percent from the same period last year.